Born - Died : 1909 - ? 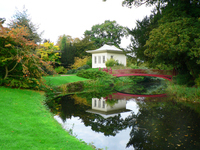 A horticultural artist, author and garden designer. Graham Stuart Thomas studied in the University Botanic Garden at Cambridge and later worked for several nurseries. 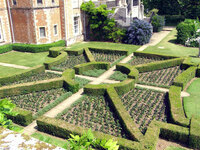 In 1974 he became Garden Adviser to the National Trust and thus England's most prolific designer of large gardens. His characteristic style is described in the entry for East Riddlesden Hall. Graham Stuart Thomas has written a number of enjoyable books: Old Shrub Roses (1955), Perennial Garden Plants (1975) and Plants for Ground Cover (1977). 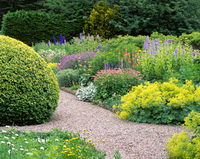 Graham Stuart Thomas's planting design is in the best Arts and Crafts tradition but his construction design, and sense of space, lack flair - despite his ability as a botanical artist.